We (the other 9-12 YO kids and I at the Argy Barge workshop at the Roola Boola festival) started off with a fresh canvas! No – one had pre – planned our storyline. We got to make it up ourselves. We started off by playing some fun acting games to help us get used to what we would be doing over the next 4 hours. After we had finished up with the games (and when I had finished failing miserably), we started pouring out our ideas up onto the white board. We came up with many random, crazy, impossible – in – real – life ideas. We made sure that our story was weird, funny, wacky, impossible – in – real – life and most off all … RANDOM! We had meerkats, an assassin that killed people with a blunt pencil, lactose – intolerance free cheesecake, Fartenstein ( yes, I spelt that right!!! ) and a twist … sort – of. We used all kinds of acting! 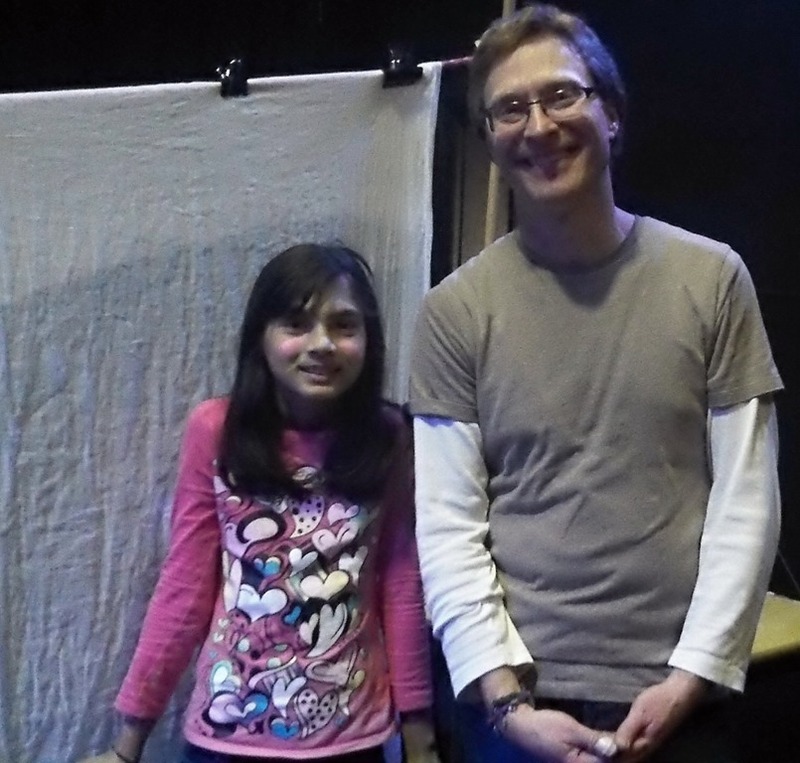 We used puppets, ourselves as the actors, shadow puppetry and lighting effects! We put on the performance for our families afterwards and you can see a sample of the enthusiastic response in the video below. My mum and brother enjoyed the show. Also here is a sample of a production from the workshop.